MID-CENTURIA : Art, Design and Decor from the Mid-Century and beyond: Alex Steinweiss R.I.P. When I created the vintage album cover art post yesterday, I wasn't aware that American commercial artist Alex Steinweiss, the man responsible for inventing the pictorial album cover, had died just the day prior at the age of 94. 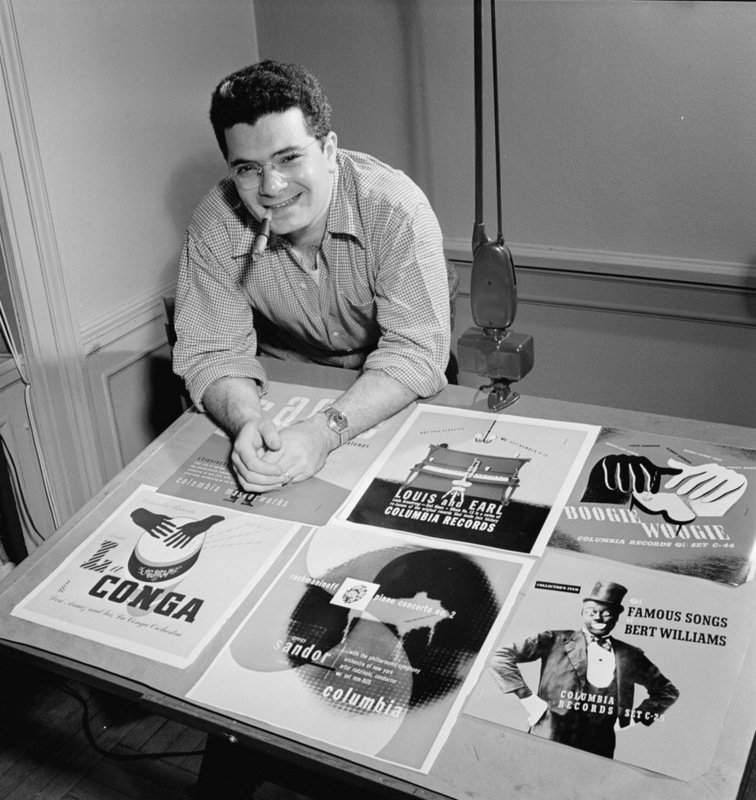 Steinweiss invented the use of art on the previously unadorned paper album covers while working at Columbia Records in 1939. During his prolific career as a commercial artist, Steinweiss worked as an art director and/or artist at Columbia, RCA, Remington, London and Decca record labels.